Everyone with substance use disorder deserves an opportunity for a fresh start in life. 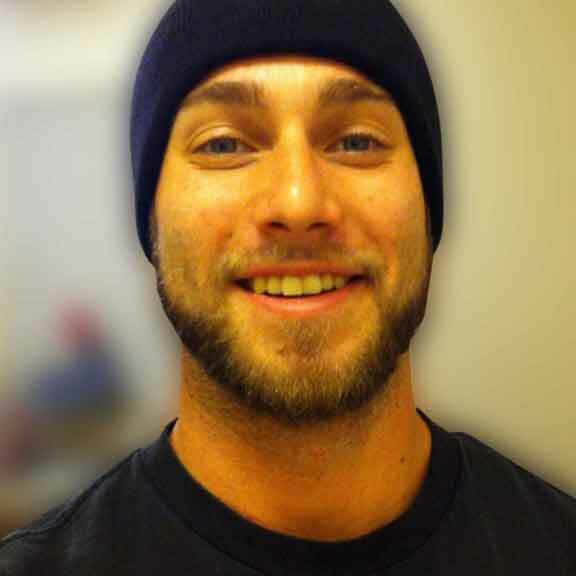 In memory of our founder's son, Cody, who died from an opioid overdose in 2013, we are committed to providing a fresh start to those who are in need. 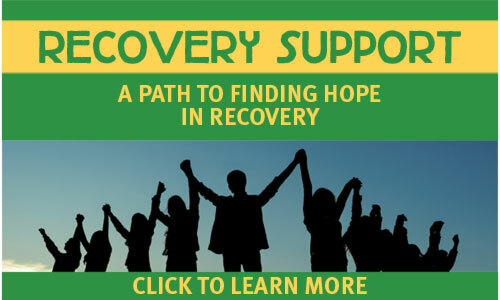 We offer treatment scholarships and other types of recovery support. 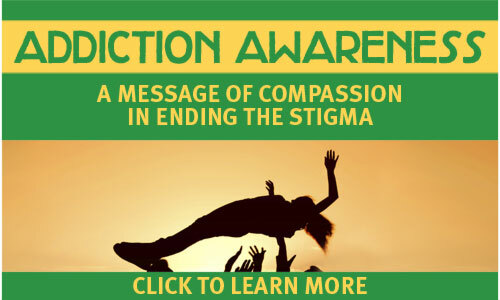 There is a significant need for all types of addiction support from education and awareness to treatment and recovery. We want to change the conversation on how addiction is perceived by most as a moral failure instead of a treatable disease. We host several fundraising events throughout the year and support other events, too. If there is relevant news to share, we will post it here. Our events promote addiction awareness and raise money for treatment scholarships. SIGN UP to follow Mary’s blog and receive a free CFS t-shirt or a free NALGENE Water Bottle. Welcome to my blog. 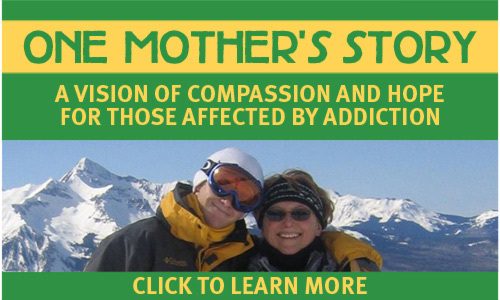 This is a place where I can share what I have learned from the experience of losing my son to the disease of addiction. My purpose is in giving a voice to Cody’s disease, which is so misunderstood. 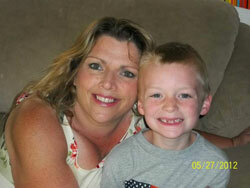 Where the hope lies, in sharing my story, is to help others recover from this tragic disease. I can advocate for change and for not letting one more child die from a drug overdose or letting one more parent suffer in silence. 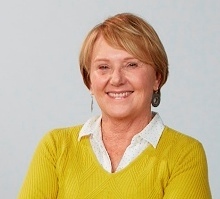 Mary Cucarola and Jackie Huban are available for speaking engagements. With two unique perspectives and a common goal, Mary Cucarola and Jackie Huban share wisdom, heartbreak and hope in their presentations. Both are available for individual speaking dates or combined engagements where their overlapping, and yet distinct, experiences give a broader insight into the disease of addiction. 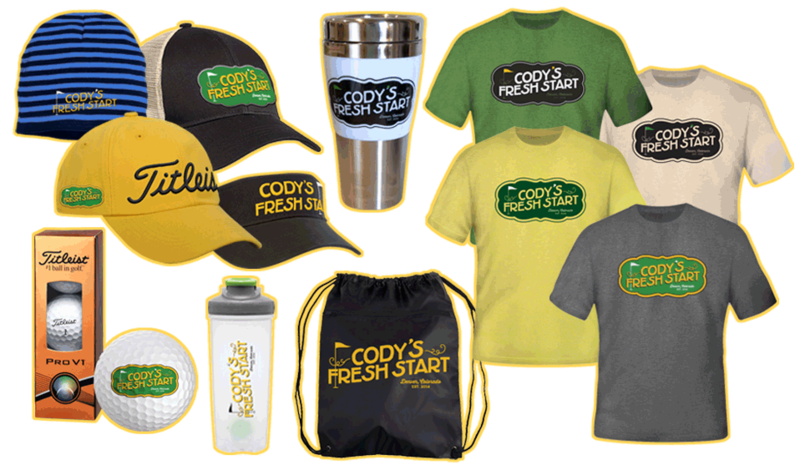 Shop now for Cody’s Fresh Start logo t-shirts, hats, bottles, bags, golf balls, and more to proudly show your support for our organization. All proceeds go to support our cause. Words cannot describe the level of appreciation and love I have for those at Cody's Fresh Start. Before finding this blessing, my life had completely fallen apart, and I had lost sight of who I was, was living on a quick path to complete destruction, and saw no signs of hope. I reached my bottom as I see it and still was unable to find and accept the help I desperately needed. 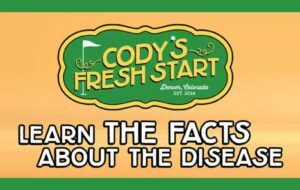 After endless failed searching for any treatment center that would help work with me on my current situation and a lack of insurance and finances, I was directed to reach out to Mary at Cody's Fresh Start. That's when my life began taking a profound change for the better, though I had no idea as to the level of beauty my life was about to gain. I was ready to turn my life around completely, and because of Cody's Fresh Start, I was allowed to take that opportunity and reach my true full potential. I was able to gain the tools necessary to hold onto my sobriety and place recovery as my main priority within life, have a wonderful job that I love, and am able to give back and help other addicts on their path of recovery. I grow each and every day, rather than live in the previous existence of stagnancy, am now learning about myself, and have found passion for the things I love and that matter in life and am excited to see what the future holds for me. I owe Mary, Jackie, and all those beautiful souls involved with Cody's Fresh Start my life, a life I now love and cherish and would not trade for the world. I have been obese all of my life and I wanted to have gastric bypass surgery. In order for my medical insurance company to authorize the surgery, I had to lose 30 pounds beforehand. I weighed around 325 pounds at that point. I have been a phlebotomist since 1990 and worked in hospitals, prisons, and the downtown main jail, so I have seen what alcohol and drugs can do to a person. In fact, I got involved in drugs as a teenager and thought I was smarter than all my drug friends and quit and “got a life”. I got married when I was 26 and had my first child at 32. My daughter will be 17 next week. I also got pregnant unexpectedly at 39 with my son, and he just turned 11. Anyway, I had a difficult time losing the 30 pounds. I thought it wouldn’t do any harm to smoke meth for a couple of months to lose that weight. It was easy to get and I liked that old feeling again. When I met my boyfriend 4 years ago, he did it also and it became an all day habit. I eventually got evicted from my beautiful home, where I had grown a garden, raised my kids for the past 5 years, and raised chickens. I moved in with my boyfriend’s parents, and asked my kids’ father to take the kids so I could go to rehab for 3 months. But in reality, as guilty as I felt for giving up my kids, I kept doing drugs and telling people I was on waiting lists for rehabs….. The worst thing that finally happened was that my boyfriend suffered a fatal heart attack. His parents kicked me out after he died and I was homeless. I put myself into a county program and finished 30 days of treatment. I found a transitional house, but it fell through. I was homeless again. 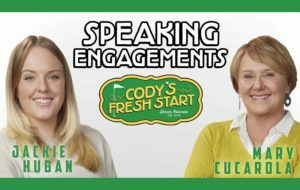 I reached out to a member of a church I used to attend and by word of mouth through the community; I found a transitional home, which Cody’s Fresh Start helped me get into by paying my rent. I immediately started a Bible Study called “Search for Significance”. I believe that was the perfect study for me. I felt so torn down, guilty and shameful for everything that had went on….. Thank you so much for making this door open to me. I never knew so much good could come from bringing Him into my life. Thank you so much for this chance. How I was introduced to Cody's Fresh Start is an absolute God thing. I was in a treatment center, that my insurance was helping pay for. Before the first three appointments I missed to check into detox I was homeless. Sleeping in a car I luckily still had. The daily struggle and hustle to eat and feed my addiction and the way logic was out the door whether drugs were more important than food, was killing me. I came into detox weighing 150 lbs. Towards the end of my 28 days I was weighing 175lbs. and looking at options for my discharge and found I didn't have many. I had burnt all bridges with my family to the point of them not wanting me in their lives. I had to ask though. Something was changing in me, I actually wanted to stay clean and sober. After exhausting my options with a bunch of no's, my brother offered to pay for a gym membership for me I use so I could shower, use the locker room to shave and look for work. While my sleeping arrangement was in the air, I realized I would be living out of my car again. This circumstance was stressful to say the least, especially being newly sober. Four days before my discharge date a bed opened up in a sober living environment, I asked her to reserve it for me. I didn't have any money or way to back up my word. The next day, Mary got in touch with me, I don't even really know exactly how the grapevine got out to Colorado, but she told me who she was and told me about Cody's Fresh Start. I was in shock when I got off the phone, a counselor at my treatment had to ask me to snap out of it. I was able to move into the Sober Living I am still in today, thanks to the aid. I just recently became employed full time and I owe some money and have everyday Cadillac problems. I’ll tell you something, the blessing of having a pillow to put my sober head on every night since 10/9/14 is beyond words. Coming from where I come from to what’s happening in my life now makes me smile. I really don’t know who reads this, and I don't have much experience writing or expressing how grateful I am for Cody's Fresh Start and by the grace of God another day clean and sober. Everything in between happens so fast and are blessings. So, I think I ranted, but I just want to say Thank You. Tony, you expressed yourself very well. Very heartfelt. I read this page and am always encouraged to hear who/how/what help was shared. Be proud of yourself and keep that smile on! Tony I want to thank you for telling your story. You never know who you have impacted and helped each time you tell it, so don’t stop! I know of many success stories and you will be one of them too. You can’t know what blessings are in store for you, but if you learn to put God first in every aspect of your life, you will find out, and be amazed. I know this to be true from personal experience, and many, many stories from others. May God bless you, and keep you safe! Thank you for sharing. My son is in a court ordered rehab and will go to sober living for 3 months after rehab but then what? He has also burnt bridges and will have nowhere to go. I hope he can find a sober living environment and move forward in his life and mend fences with his family. I know what will happen if he goes back to his old friends and places. and May you stay in his favor and walk with the Lord towards his plans for your life .